On Lal Bahadur Shastri’s birth anniversary, his son Anil recalls rare personal and political anecdotes. My father Lal Bahadur Shastri shares his birth anniversary with Mahatma Gandhi. He drew lessons in simplicity, personal integrity, intellectual honesty and commitment to the nation from his guru, Mahatma Gandhi. Many may find it hard to imagine a Prime Minister who took a loan of Rs 5,000 from the Punjab National Bank to buy a Fiat car for his family. They may also find it difficult to believe that a Prime Minister died penniless. My elder brother Hari Shastri was the only earning member when Shastriji passed away in Tashkent on 11 January 1966 after signing a peace treaty with Pakistan. If not for the pension and the government accommodation to my mother, Lalita Shastri, the family would have been on the road. 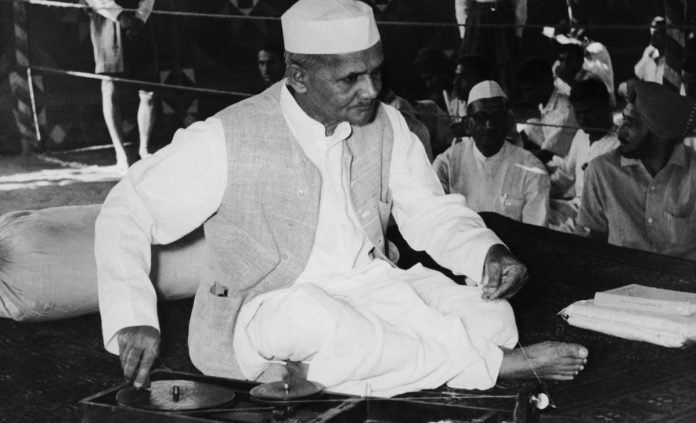 On Shastriji’s birth anniversary, the best way to remember him is through some personal and political anecdotes. When my father was the union home minister, my two younger brothers and I were studying in St. Columba’s School, New Delhi. We would go to school in a tonga (horse carriage) whereas our friends would arrive in cars. Their fathers were government officials and some of them were working under my father in the ministry of home affairs. We felt bad and thought of taking up this matter with our father. When Shastriji returned home late in the evening, he was surprised to find us awake. We asked him why we could not have a car drive us to school despite being the home minister’s children. He told us that he didn’t own a car and all he could do was provide us with a government car. But he cautioned that the car would be available only till the time he was a minister. Once he was out of office, we would again have to go to school in a tonga. We realised it would be worse to switch over to a tonga after having commuted in a car. And, we ultimately decided to go to school in a tonga. When it came to travel, Pandit Jawaharlal Nehru was a Prime Minister who would normally travel in an Indian-built car. It was the Hindustan 14 and later the Hindustan Ambassador. However, while going to the airport to receive a foreign head of state or dignitary, he would take out his Cadillac. Shastriji told me that he asked Nehruji why he changed his car while receiving foreign dignitaries at the airport. Panditji replied he wanted to let them know that the Indian Prime Minister could also be driven in a Cadillac. When Lal Bahadur Shastri became the Prime Minister in 1964, he used the Ambassador for all purposes, not switching to a Cadillac even while welcoming foreign heads of state. Nehru’s sister Vijay Laxmi Pandit was a Member of Parliament when Lal Bahadur Shastri was the Prime Minister. She got elected from the Phulpur constituency in Allahabad district following Pandit Nehru’s death. She was a forthright and straight-forward political leader and would say what she believed was right. In one of her outbursts over the government’ functioning, she referred to Shastriji as ‘a prisoner of indecision’. Shastriji was hurt and told her that since he was the duly elected leader of the party, she will have to bear with him. However, Shastriji’s leadership qualities during the India-Pakistan war were noticed by all. His decisiveness in ordering the armed forces to retaliate with full force by opening up new fronts, including Lahore, not only surprised his colleagues and friends but also the armed forces. The Indian armed forces were a motivated lot under his leadership. Vijay Laxmi Pandit was greatly impressed with Shastriji’s leadership during the war with Pakistan. She told a correspondent that “it was a serious underestimation of a leader of outstanding and exceptional calibre”. On reading this, Shastriji went to her house to thank her. Lal Bahadur Shastri was known to be considerate toward those working in his team. On 3 January 1966, he left for Tashkent hoping for a long-term peace solution with Pakistan. Tashkent was very cold at that time of the year and Shastriji was carrying his usual khadi woollen coat. Russian leader Alexei Kosygin realised that the coat he wore was not warm enough to fight the snowy winter winds of Central Asia. Kosygin wanted to present a Russian overcoat to Shastriji but was not sure how to do so. Finally, at a function, he gifted a Russian coat to the Prime Minister hoping that he would wear it while in Tashkent. Next morning, Kosygin noticed that Shastriji was still wearing the khadi coat. He asked the Prime Minister if he liked the overcoat. Shastriji said, “It is really warm and very comfortable for me. However, I have lent it to one of my staff members who was not carrying a good woollen coat to wear in this severe winter. I will surely use your gift during my future trips to cold countries”. Kosygin narrated this incident during his welcome address at a cultural programme organised in honour of the Indian Prime Minister and the Pakistani President. Kosygin remarked, “We are communists but Prime Minister Shastri is a Super Communist”. Few know that I was to accompany my father to Tashkent since my mother for some reason was not going with him. I do not know what happened but my programme was suddenly cancelled just a day before his departure. I felt extremely bad as I had told my friends that I was visiting the Soviet Union. Shastriji called me and promised to take me along on his forthcoming visit to the United States. I was unhappy and did not see him off at the airport. My entire family went to the Palam airport to wish him success at Tashkent. Shastriji was about to leave at 7 am on 3 January 1966 for his ill-fated Tashkent trip. I was awake and tossing in my bed. He passed by my bed, kissing me with a smile. That was the last I saw of my father. There is something about the words that are written from the heart. They look very simple, but they straight go and bond with the reader’s heart. I do not know what this is called — spontaneity, a class of writing that appears effortless but is extremely difficulty to cultivate? I don’t know, but reading this piece by Anil Shastri reminded me of THREE words that Sunil Gavaskar had spoken in a totally different context. Remembering Viv Richard’s batting strokes, Gavaskar said they were SWEET, SWEET, SWEET. Thank you Anil ji, for sharing this with us. Your father belonged to the rare subset of our prime ministers who will always be remembered with respect.